Liberal Democrats oppose laws that require photo IDs to vote because they’re allegedly racist and prevent minorities from voting. 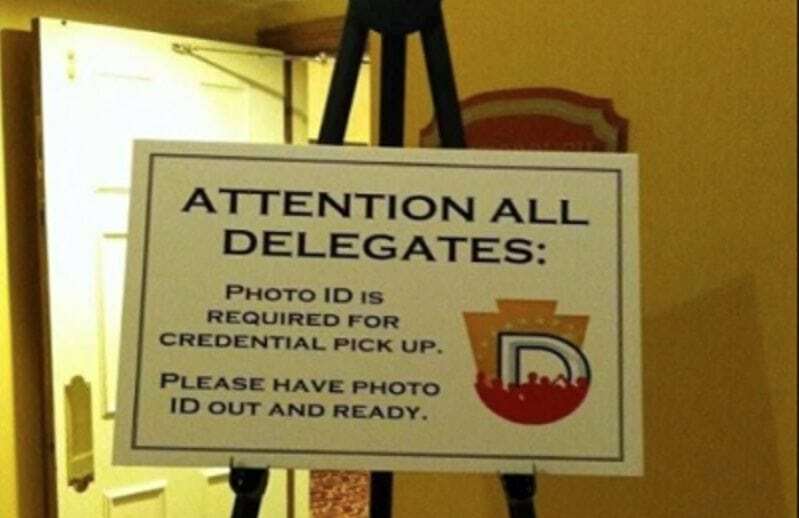 So it comes as a surprise to learn that Democrats required delegates to produce photo ID before picking up credentials at their convention. Well, it’s not really surprising, but it’s still quite eye-opening. After all, if it’s racist to require photo ID to vote, shouldn’t it be racist to require photo ID for delegates? An opinion issued Friday by a three-judge panel of the 4th Circuit Court of Appeals in Richmond reverses a lower-court’s ruling that had upheld the law. The 2013 rewrite to voting laws in North Carolina required photo identification to cast in-person ballots and made other changes. The U.S. Justice Department, state NAACP, League of Women Voters and others sued the state, saying the restrictions violated the remaining provisions of the federal Voting Rights Act and the Constitution. The ruling comes just days after a federal appeals court in Louisiana found that the Lone Star State’s strict voter ID law also violated the Voting Rights Act and ordered the state to make changes before the November election.